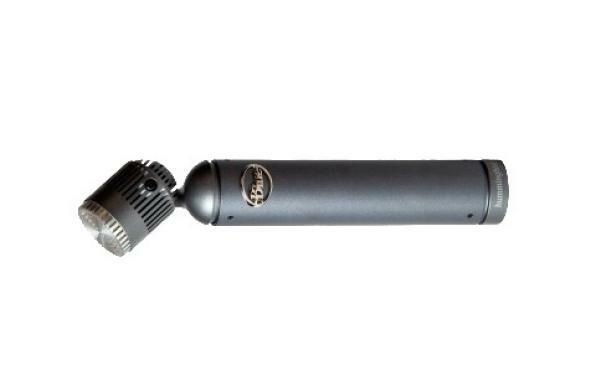 Hummingbird is a versatile, precision-engineered Class-A small-diaphragm microphone. Like its avian counterpart, Hummingbird is compact, fits precisely into tight spaces and can nimbly change positions where others can’t. The pivoting head allows for 180 degrees of rotation, so you can record at any angle without adjusting the stand. Featuring a precisely tuned diaphragm based on Blue’s acclaimed "B1" cardioid capsule, Hummingbird offers balanced character with plenty of sparkling high end in the studio and on stage for drum overheads, acoustic guitar, strings or any instrument with fast transients and rich overtones. The only thing it won’t do is pollenate your garden—we’re still working on that technology.